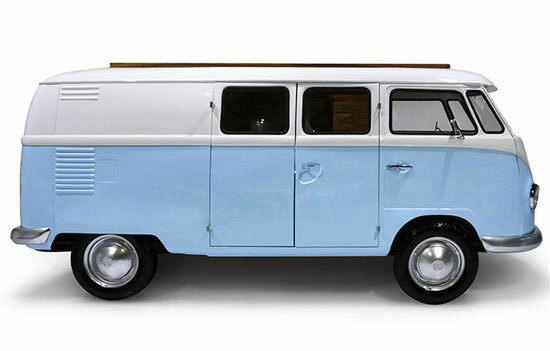 Yes, we have featured beds like VW Camper Vans in the past. 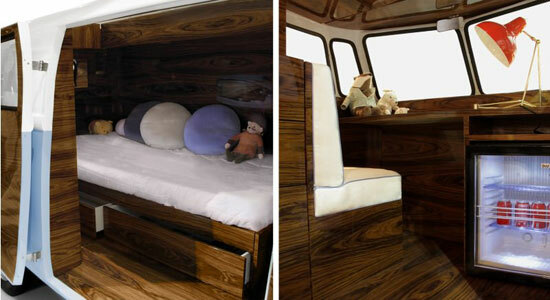 But nothing like the Circu Bun Van Bed. Yes, the images above and below do show a child’s bed. 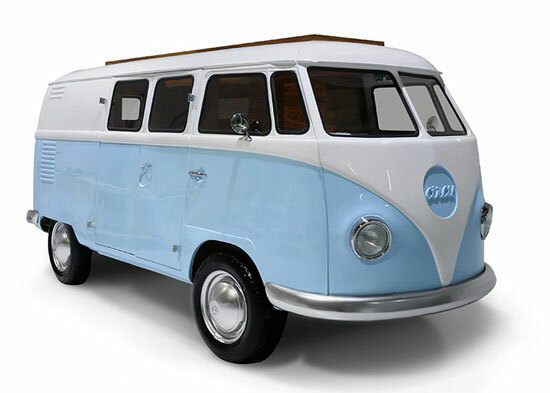 The Portuguese maker has produced this limited edition design to replicate the original vintage van as much as possible, whilst keeping to the script of actually being a place to sleep. 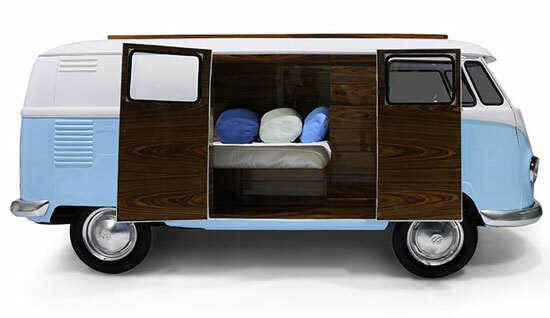 Produced from fibreglass and chrome, the bed is finished with palisander wood veneer inside and comes with the actual bed (of course), multiple storage compartments, a TV, a ‘secretary’, a mini bar and a sofa. 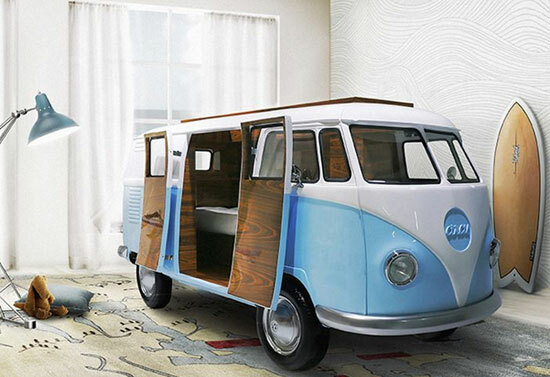 So essentially a room within a room. The finished item is sized at 400 x 185 x 220cm and sells for….well, we don’t actually know. If you click the order button, you just get a form to register an interest. Saying that, we know it isn’t going to be cheap, so if you have to ask, it probably isn’t the bed for your child.